Since the February 6th-7th rain on snow event, complex near surface layers have developed as a result of above freezing temperatures for over a week followed by melt -freeze temperature cycles. The top of the snow pack (2" MF crust) is NOT penetrated by snowmobile or skis, but is penetrated by boot most of the time. There are series of crusts within the snowpack that are fully supportable. At the bottom of this surface layers complex is the rain crust from February 6th-7th. This rain crust makes it difficult to impact weaknesses (deep slab) in the bottom 2/3rd of the snowpack. This week, February 16th -22nd, we are observing the local events of a year ago when 6 snowmobilers were buried in separate incidents and one perished. In avalanche forecasting and education, we do all we can and we do the best that we can. However, we continually ask ourselves did we do enough? One year later, our snowpack conditions are hugely different. 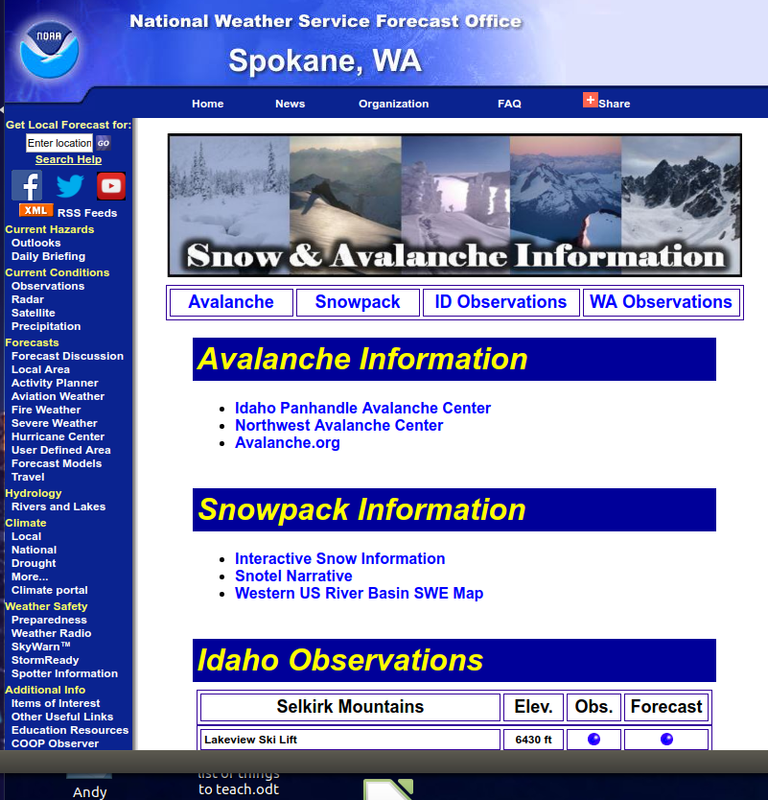 February is normally our big snow month in the Kootenai Region. In 2015, February has been mostly warm and dry, except for the massive rain on snow event of Februarty 6th-7th. Our current snowpack has strengthened under melt-freeze temperature cycles. Please continue to use the good decision making and practices that have kept you out of harms way to date. Today I visited Canuck Pass (6,000 feet elevation) in the Purcell Range. There, I encountered a 70 inch deep snowpack on a steep northeast aspect. The top 14 inches is a complex of several knife hard layers (4 knife hard layers visible) sandwiching 4 finger soft snow layers. This complex sits atop a rock solid rain crust at the 56 inch level from the February 6th-7th rain on snow event. This 4 inch rain crust is nearly impossible to penetrate with a shovel! Below this rain crust the snow column has finally cooled to near the ground after 5 days of night time freezing and day time light thawing temperatures. Snowpack densities below the rain crust are mostly pencil hard except the bottom 6-8 inches that is loosely consolidated large blocky grains. Extended column tests produced a propagation on two layers with easy force. One at 63 inches and one at 67 inches. Above this failure is 7 inches of knife hard crusts. Another propagation occured at 60 inches. Finally, a layer at 57 inches fractured but did not propagate. Since the Tuesday February 17th advisory, weather in the Kootenai Region has been dry with melt-freeze temperature cycles. 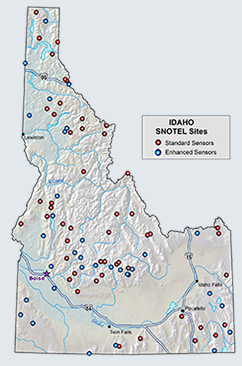 All SNOTEL sites are reporting night time freezing in the upper 20s F and light day time thawing in the upper 30s F. SNOTEL sites have ceased draining and some are reporting SWE increases of 0.2- 0.3 inches. There has not been much settling of the snow at these sites. Weather today at Canuck Pass 6,000 feet elevation is calm with mountain fog starting at 5,500 feet, no new snow and 25ºF at 1000 hours. Forecasted weather through Saturday is 70-95% cloud cover, melt-freeze temperature cycles through Friday then freezing Saturday, light winds from the west switching to east at 16 mph by Saturday, and 30-50% chance of snow with 1-2 inch accumulations.